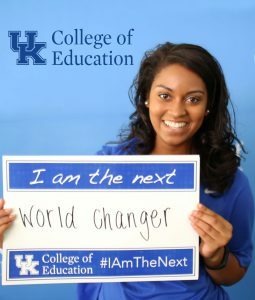 Why the UK College of Education? We work diligently with our students to discover how to turn their interests into successful careers. Our strong partnerships with schools and communities provide an environment where students see their work occurring not just within the walls of academic buildings, but also in communities across our Commonwealth, our nation, and around the globe. Our faculty members provide students with opportunities to make a difference through hands-on, practical experience combined with innovative and meaningful research. Here, you will find an environment that values you as an individual. Your professors will challenge you academically and be approachable outside of the classroom. You can make life-long friendships with people who share your dreams while making a difference in the lives of others. We invite you to explore our programs and learn about the exceptional work occurring in the College of Education. The College of Education offers undergraduate and graduate teacher certification as well as other degrees leading to fulfilling and challenging careers in education and in health-related professions. Whether you are an undergraduate or graduate student, this is the first step in your journey toward a degree at the College of Education. The College of Education offers scholarships for entering freshmen, enrolled undergraduates, and graduate students. With 15 student organizations, there is sure to be a place for you! Learn more about living/learning communities, volunteering, social activities and professional educator development. 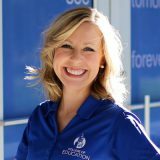 Want to visit the College of Education? We would be happy to show you around. Make an appointment to visit the college today! We have you covered! Check out UK’s Transfer Advising Services.